A charity drive initiative hosted by QuadPara Association of South Africa. One of the compelling aspects of the Olympic Games is the spirit that unites the athletes and challenges them to be the best that they can be, bringing people together in friendship and solidarity. This could certainly be applied to the men and women taking part in the Quads 4 Quads race event coming up in September this year. Nine years ago, Family Adventures, run by Glenn Foley and Corinne Andrews, chose QASA (QuadPara Association of South Africa) as the beneficiary of the fundraising ride. 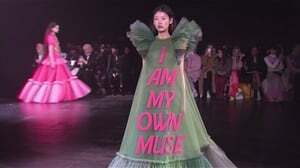 It is the main fundraiser for QASA. 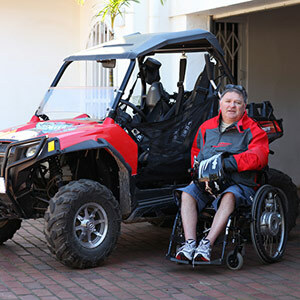 About 600 quad bike and two wheel motorcycle riders, including several quadriplegic riders on adapted quads, will take part for the ninth time in an event which has made a remarkable difference to the lives of quadriplegics and paraplegics in South Africa. The first stage takes place from Johannesburg to Durban on Thursday the 27th September and ends at Cane Cutters in Ballito on Sunday 30th of September. The return ride starts on Thursday 4 October and arrives back at Carnival City in a cavalcade of triumphant riders on the 7th October. Each rider faces about 250km for 8 hours each day, which is challenging for all able and disabled riders.The event is not a race, but a family ride which encourages everyone to get involved, whether they’re helping at the daily rest stops or joining the riders off-road.